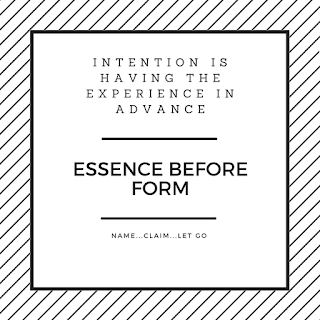 When you make a clear intention, one you totally know will come to be is the essence which will create the form to naturally follow. When your intention is clear to you, the whole gamut of issues that bring on fear, barriers, obstacles, indecision become a minor annoyance, noticed and brushed off. The rush to goals without that certainty you know what the end result will look like can lead you to lose sight of achieving the goal you so carefully planned, perhaps excessively planned. A good move is to invest your time in shaping your intention. Keep your phrasing to words that declare the intention as complete. Start with "I am..., I know...., I live as.... I love...I create...I give....I receive....". 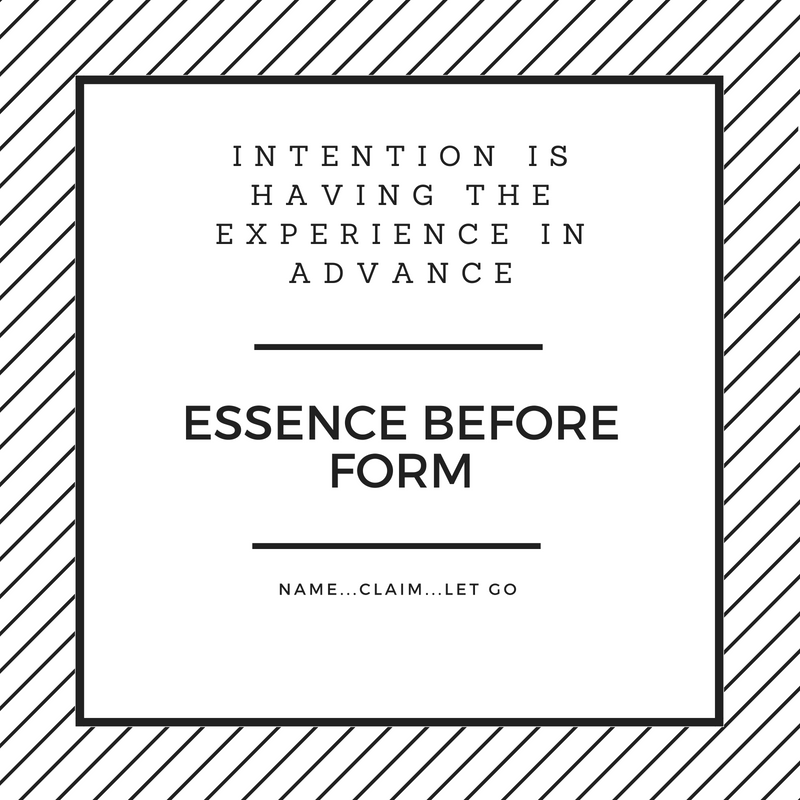 Be aware that your intention is having the experience in advance, so include the emotion you would attach to this experience. When you voice your intention, when you write your intention enjoy the emotions, such as clarity, healed, solace, peace, joy, satisfaction, elation. Exercise your imagination as a tool to explore the everyday actions you will be having as you set your intention in motion. "When I wake up I will be......I enjoy doing.....I have the habit of......"
Your intention includes your body, your mind and your spirit. You are syncing your energy and claiming it is already done. Invest your time to soak in your intention into your everyday life. Look for times to share your intention, explain to another and get encouragement from your community, a friend, or your mentor. You believe it, strengthen your confidence by telling others. One more move is needed, the organic trust of letting go. Pushing and striving are a waste of your energy. Your goals will take form as now there is a pull to trust your intuition and guide your action. put words in your mouth which lead to your actions. Do you accept this belief? The recurring sequence from thought to follow through happens over and over again every day of your life. Is it your belief then that whatever ailments you have, whatever situation you are in, it started with the thought choices you created and multiplied? This can be powerful life nurturing big bang when you are guided by this belief and consciously choose to guide your thoughts for positive results. Those thoughts of busy, tired, sore, sick, down, out, lost are a go to habit that can be noticed and replaced. It is an easier way to dam the consequences and go straight to reason, excuses, blame and judgement on external circumstances for your life, but where is the growth in that? I take responsibility to connect with the spaces that will nurture the affirming thoughts I choose for my life. First priority is I want to improve my life, enjoy my life and the company of others. 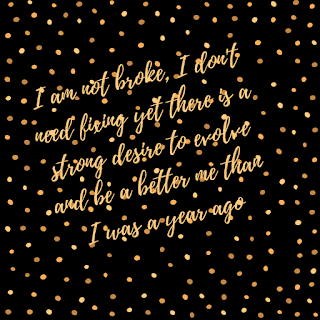 I am not broke, I don't need fixing yet there is a strong desire to evolve and be a better me than I was a year ago. I depend on my favourite spaces to help to strengthen who I am and the positive accepting truthful thoughts I entertain in my mind. Introspection is a space I visit in the morning. The first thoughts spring from the embedded desires and habits and I am on watch to catch the rapid fire thoughts that limit the possibilities. Thoughts that can manifest into reality. Which ones do I choose to keep? I make time to be in open spaces, country or coast, both work for me. These favourite spaces evoke uplifting, grateful, creative thoughts. I need a daily fix of nature spaces, the habit of only the best will do gets stronger here. Space anytime, anywhere for reading, learning, meditating, bath. It's a time out space, if only for a few moments to say yes again to my dreams and goals. 1. Master your thoughts and you take responsibility for creating your best life. 2. Know your favourite go to spaces that connect you easily to creating life affirming thoughts. 3. Honour your life through being the best you. You can rely on Rumi for inspirational words. 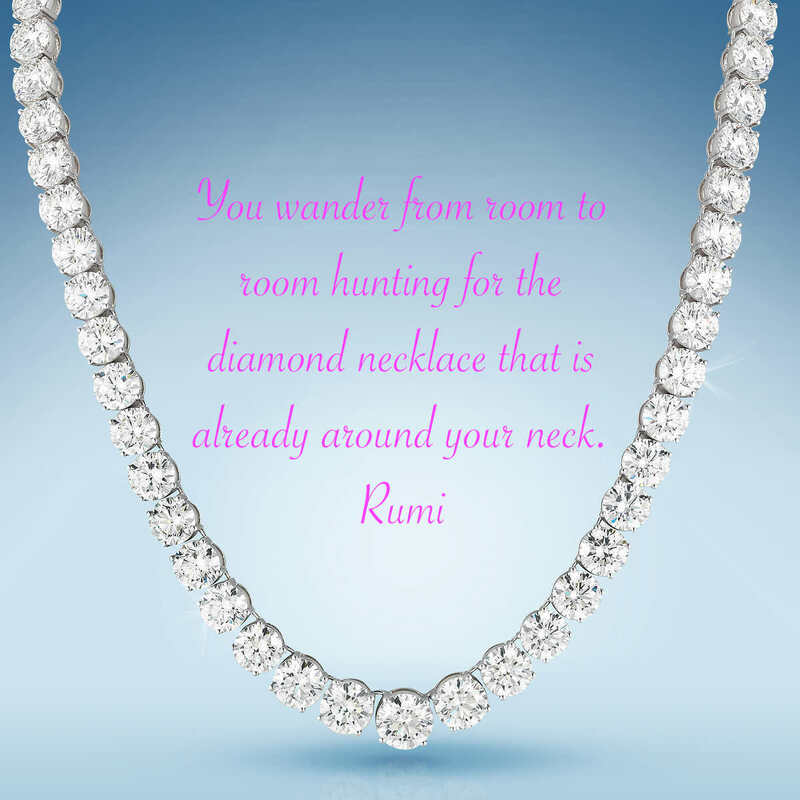 Rumi, a 13th Century Persian poet who continues to impress on our lives. Rumi's phrases and poetry have the power to question and to magnify our existence. I love this one because it reminds me that abundance is already mine. I just need to be mindful that I know what I am looking for and I am looking in the right places. The abundance factor can seem so out of reach. 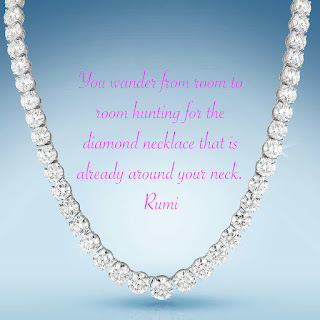 Yet Rumi says this one small phrase to reinforce it is already here, you already have it. You have more than enough. ⟿ Question its shape and form. ⟿ Dig deeper than the immediate response based on cultural and conditioning beliefs. ⟿ Remove the money factor and limits. ⟿ What is your personal take on more than enough? Will you know it when you experience it? Get specific and go into detail on the form of your abundance. How you want to live, what you want to taste, who you want to see, where you want to go. "Abundance - a situation where there is more than enough of something"
One of the toughest things to do is look at what you have done or has happened to you in the past and look at it objectively, remove the emotion, see it as a lesson, let go and move on. I have such admiration for those who say they can do this with ease. It is an incredible skill to master an objective mindset and practise the ability to separate from the attached emotion that holds you in the past. So much teaching out there about the merits of being present in the moment. I persevere but you know what life is like, the memories swagger in when you least expect it. 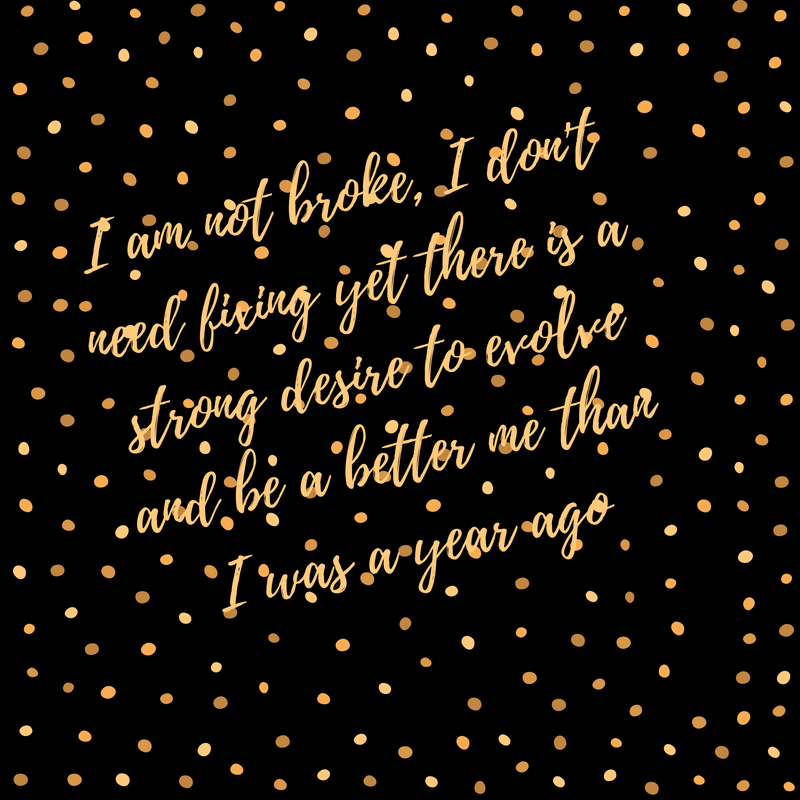 My life was easier, tougher, better, worse"
"I carry this hurt, because..."
"I keep making this same mistake"
"Back then, I was stronger, fatter, fitter, smarter..."
How much of my thoughts can I allow to be about the past? How much is too much that it will keep me stuck there? There have been studies on this and it may be exaggerated or underrated but for the majority, the thoughts you have about the past is most of the time...over 90%. That is a serious preoccupation with what you did either yesterday, months or years ago. If it was up to me it is an easy road to keep travelling over and over again. It is so automatic to keep going over and over old stuff and if your imagination is fired up you could really exaggerate those past events. The good is even better, the bad is cringe worthy and the ugly, well that just stirs up lots of emotion. Even when what you did in the past is holding you back from enjoying now you go there. It is safe, known and oddly reassuring. It is up to me to honour the good, the bad and the ugly of past me. Those memories, those past mistakes and brilliant achievements are all part of the puzzle that makes up who I am. It is also up to me to whittle down the 90% of time I spend thinking in the past, ramp up the thinking about loving the now and be curious about the possibilities of the future. I read a reassuring metaphor about life and how it is like the workings of a tapestry. You look at the back of a tapestry and the thread is in all directions, while what we see on the other side is a beautiful picture. All the work behind the scenes is creating an intricate masterpiece. 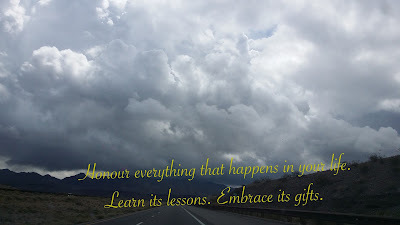 It is up to me to honour my life masterpiece, reflect on the lessons, make every effort to view them as gifts and move on. I like to think of that tapestry when my thoughts wander to the past and be reassured that yes all is ok, I am a work in progress. "Life just gets curiouser and curiouser".